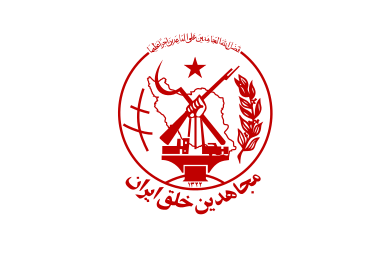 The People’s Mujahedin of Iran (Mojahedin-e Khalq-e Iran, or MEK) is an Islamic- and Marxist-inspired militant organization that advocates the overthrow of the Islamic Republic of Iran. The group was founded in 1963 as an armed guerrilla group after the Shah Mohammad Reza Pahlavi violently suppressed opposition to his regime. In recent years, the MEK has tried to reshape its image to conform to American ideals, although its cult-like structure has remained largely the same. The MEK has a history of using force and violence against the government in Tehran—against both the Shah and the subsequent Islamic Republic—as well as against countries perceived to be supporting them, like the United States. For years, the group was designated a terrorist organization by the U.S. State Department. But after an aggressive and well-funded lobbying campaign supported by a bipartisan cast of high-profile former public officials, then-Secretary of State Hillary Clinton announced in September 2012 that the group would be removed from the State Department’s list of foreign terrorist organizations. Bolton is perhaps the most influential figure to have close ties to the MEK, but he is not the only one. Signatories to the letter sent to Trump in 2017 included former Senators Joe Lieberman (an independent who had been a Democratic senator), former democratic Senator Robert Torricelli, Barack Obama’s former national security adviser Gen. James Jones as well as Republican figures such as Rudy Giuliani and Tom Ridge.Former Democratic National Committee chief, Howard Dean and civil rights leader and Congressman John Lewis (D-GA) as well as leading Republican figure, Newt Gingrich have also been prominent public supporters of the MEK, demonstrating the breadth of the organization’s connections. By 2012, most of the residents of Camp Ashraf had been relocated to another facility in Iraq—Camp Liberty—to await resettlement in third countries. The MEK’s cooperation in the relocation—which had previously sparked concerns of a planned mass suicide by group members resistant to the move—was reportedly a key factor in Clinton’s decision to delist the group. The MEK has had a divisive impact in the United States. While it has garnered supporters from across the U.S. political landscape, it has also spurred negative reactions from representatives of nearly all political factions. Organizations sympathetic to the MEK garnered an impressive array of establishment supporters inside Washington to speak in favor of delisting the group. The effort, according to the New York Times, “won the support of two former C.I.A. directors, R. James Woolseyand Porter J. Goss; a former F.B.I. director, Louis J. Freeh; a former attorney general, Michael B. Mukasey; President George W. Bush’s first homeland security chief, Tom Ridge; President Obama’s first national security adviser, Gen. James L. Jones; big-name Republicans like the former New York mayor Rudolph W. Giuliani and Democrats like the former Vermont governor Howard Dean; and even the former top counterterrorism official of the State Department, Dell L. Dailey.”Mitchell Reiss, a top foreign policy advisor to the Mitt Romney/Paul Ryanpresidential campaign, also spoke on behalf of the group. A potential explanation for this diverse list of supporters is the large speaking fees the MEK network has offered to big-name public figures. “Your speech agent calls, and says you get $20,000 to speak for 20 minutes,” said a State Department official quoted by the Christian Science Monitor. “They will send a privat e jet, you get $25,000 more when you are done, and they will send a team to brief you on what to say.”Pro-MEK individuals and organizations also reportedly donated thousands of dollars to the campaigns of several sitting members of Congress, including Reps. Ileana Ros-Lehtinen, Bob Filner, Ted Poe, Mike Rogers, and Dana Rohrabacher. Founded in 1963, MEK was one of a number of Iranian factions that supported the overthrow of the shah in 1979.It used violence against Americans in the run-up to the revolution, launching a string of assassinations and attacks against American military and diplomatic officers in Iran in the 1970s. The group was expelled from Iran in 1981 when it fell out of favor with Ayatollah Khomeini in a post-revolutionary power struggle.Since then, it has launched thousands of attacks against Iranians it has deemed “agents of the regime,” peaking at a rate of three assassinations per day in the 1980s, and staged high-profile raids on Iranian diplomatic offices all over the world—including an orchestrated set of attacks on 12 diplomatic facilities in 10 countries on a single day in 1992. The group formally renounced the use of violence in 2001, but an FBI investigation found MEK members to be “actively involved in planning and executing acts of terrorism” as recently as 2004. In February 2012, NBC News reported that the Israeli government had coordinated with MEK to launch a series of assassinations against Iranian nuclear scientists.The group’s delisting may open the door to future cooperation with the United States as well. Elise Labott, “Clinton to remove Iranian exile group from terror list,” CNN.com, September 21, 2012, http://security.blogs.cnn.com/2012/09/21/clinton-to-de-list-iranian-exile-group-from-terror-list/. U.S. State Department, “Country Reports on Terrorsm 2010: Chapter Six: Foreign Terrorist Organizations,” August 2011, http://www.state.gov/j/ct/rls/crt/2010/index.htm. Barbara Slavin, “Mass Tragedy Feared as Closure of MEK Camp Looms,” Right Web, December 19, 2011, http://rightweb.irc-online.org/articles/display/mass_tragedy_feared_as_closure_of_mek_camp_looms. Scott Shane, “For Obscure Iranian Exile Group, Broad Support in U.S.,” New York Times, November 26, 2011, http://www.nytimes.com/2011/11/27/us/politics/lobbying-support-for-iranian-exile-group-crosses-party-lines.html?pagewanted=all. See Matt Duss, “The MEK Are Not Iran’s ‘Democratic Opposition,” Middle East Progress, July 19, 2011, http://middleeastprogress.org/2011/07/the-mek-are-not-irans-democratic-opposition/. 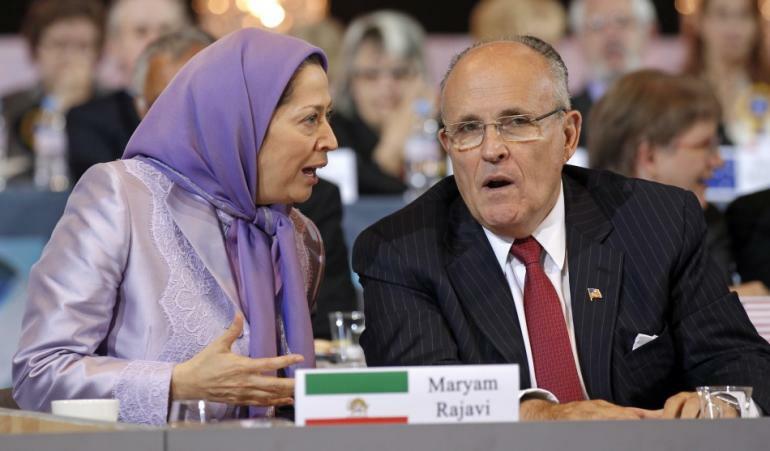 Julian Pecquet, “Congressional invite to MEK sparks furious backlash,” Al Monitor, April 28, 2015, http://www.al-monitor.com/pulse/originals/2015/04/congress-mek-testimony-backlash-maryam-rajavi.html#ixzz3YdOS9KwQ. Eli Clifton, “Poe’s Financial Ties To MEK May Explain Maryam’s House Testimony,” LobeLog, April 28, 2015, http://www.lobelog.com/poes-financial-ties-to-mek-may-explain-maryams-house-testimony/. Ali Gharib, “Cult Leader Will Tell Congress: Fight ISIS by Regime Change in Iran,” The Nation, April 28, 2015, http://www.thenation.com/blog/205521/cult-leader-will-tell-congress-fight-isis-regime-change-iran. Seymour Hersh, “Our Men in Iran,” New Yorker, April 6, 2012, http://www.newyorker.com/online/blogs/newsdesk/2012/04/mek.html. New York Post, “Loose Lips,” February 10, 2012, http://www.nypost.com/p/news/opinion/editorials/loose_lips_7xvSwHsWqSoIjyXIWl8nmI. See Right Web, Raymond Tanter profile, http://www.rightweb.irc-online.org/profile/Tanter_Raymond. Edward Cody, “GOP leaders criticize Obama’s Iran policy in rally for opposition group,” Washington Post, December 23, 2010,http://www.washingtonpost.com/wp-dyn/content/article/2010/12/22/AR2010122205180.html. Michael Rubin, “Re: Israel’s Iranian Allies of Convenience,” Commentary Magazine, Contentions blog, February 13, 2012, http://www.commentarymagazine.com/2012/02/13/israel-iran-allies/. Eli Clifton, “Romney Adviser Advocating For Controversial Iranian Terrorist Group,” ThinkProgress, August 23, 2011, http://thinkprogress.org/security/2011/08/23/302480/romney-adviser-mek/. Chris McGreal, “MEK decision: multimillion-dollar campaign led to removal from terror list,” Guardian, September 21, 2012, http://www.guardian.co.uk/world/2012/sep/21/iran-mek-group-removed-us-terrorism-list. Iran Policy Committee, “U.S. Policy Options for Iran,” February 10, 2005, http://www.iranpolicy.org/uploadedFiles/USPolicyOptions_for_Iran_Feb2005.pdf. Elise Labott, “Clinton to remove Iranian exile group from terror list,” CNN.com, September 21, 2012,http://security.blogs.cnn.com/2012/09/21/clinton-to-de-list-iranian-exile-group-from-terror-list/. Eli Clifton, “Poe’s Financial Ties To MEK May Explain Maryam’s House Testimony,” LobeLog, April 28, 2015,http://www.lobelog.com/poes-financial-ties-to-mek-may-explain-maryams-house-testimony/. Ali Gharib and Eli Clifton, “LONG MARCH OF THE YELLOW JACKETS: HOW A ONE-TIME TERRORIST GROUP PREVAILED ON CAPITOL HILL,” The Intercept, February 26, 2015, https://firstlook.org/theintercept/2015/02/26/long-march-yellow/. Eli Clifton, “Former Terrorist Group To Enjoy Close Ties to Rumored Trump Cabinet,” Lobelog, November 15, 2016, http://lobelog.com/former-terrorist-group-to-enjoy-close-ties-to-rumored-trump-cabinet/. U.S. State Department, “Country Reports on Terrorsm 2010: Chapter Six: Foreign Terrorist Organizations,” August 2011,http://www.state.gov/j/ct/rls/crt/2010/index.htm. Barbara Slavin, “Mass Tragedy Feared as Closure of MEK Camp Looms,” Right Web, December 19, 2011, https://rightweb.irc-online.org/articles/display/mass_tragedy_feared_as_closure_of_mek_camp_looms. Scott Shane, “For Obscure Iranian Exile Group, Broad Support in U.S.,” New York Times, November 26, 2011,http://www.nytimes.com/2011/11/27/us/politics/lobbying-support-for-iranian-exile-group-crosses-party-lines.html?pagewanted=all. See Matt Duss, “The MEK Are Not Iran’s ‘Democratic Opposition,” Middle East Progress, July 19, 2011,http://middleeastprogress.org/2011/07/the-mek-are-not-irans-democratic-opposition/. Ali Gharib, “Cult Leader Will Tell Congress: Fight ISIS by Regime Change in Iran,” The Nation, April 28, 2015,http://www.thenation.com/blog/205521/cult-leader-will-tell-congress-fight-isis-regime-change-iran. Seymour Hersh, “Our Men in Iran,” New Yorker, April 6, 2012,http://www.newyorker.com/online/blogs/newsdesk/2012/04/mek.html. Quoted in Jasmin Ramsey, “Analysts Respond To Expected US Decision To Delist MEK From FTO List,” LobeLog, September 22, 2012, http://www.lobelog.com/analysts-respond-to-expected-us-decision-to-delist-mek-from-fto-list/. New York Post, “Loose Lips,” February 10, 2012,http://www.nypost.com/p/news/opinion/editorials/loose_lips_7xvSwHsWqSoIjyXIWl8nmI. Michael Rubin, “Re: Israel’s Iranian Allies of Convenience,” Commentary Magazine, Contentions blog, February 13, 2012,http://www.commentarymagazine.com/2012/02/13/israel-iran-allies/. Eli Clifton, “Romney Adviser Advocating For Controversial Iranian Terrorist Group,” ThinkProgress, August 23, 2011,http://thinkprogress.org/security/2011/08/23/302480/romney-adviser-mek/. Chris McGreal, “MEK decision: multimillion-dollar campaign led to removal from terror list,” Guardian, September 21, 2012,http://www.guardian.co.uk/world/2012/sep/21/iran-mek-group-removed-us-terrorism-list. Iran Policy Committee, “U.S. Policy Options for Iran,” February 10, 2005,http://www.iranpolicy.org/uploadedFiles/USPolicyOptions_for_Iran_Feb2005.pdf. Scott Peterson, “Iranian group’s big-money push to get off US terrorist list,” Christian Science Monitor, August 8, 2011, p. 7,http://www.csmonitor.com/World/Middle-East/2011/0808/Iranian-group-s-big-money-push-to-get-off-US-terrorist-list/%28page%29/7. See, for example, Eli Clifton, “Defending MEK, Mukasey, Ridge & Freeh Attack Obama For Hastily Exiting Iraq, While Admitting He’s Trying To Stay,” ThinkProgress, August 15, 2011, http://thinkprogress.org/security/2011/08/15/296188/mukasey-ridge-freeh-obama-iraq-mek/. Richard Engel and Robert Windrem, “Israel teams with terror group to kill Iran’s nuclear scientists, U.S. officials tell NBC News,” NBCNews.com, February 9, 2012, http://rockcenter.nbcnews.com/_news/2012/02/08/10354553-israel-teams-with-terror-group-to-kill-irans-nuclear-scientists-us-officials-tell-nbc-news.